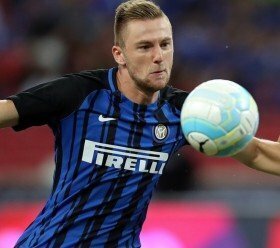 Liverpool are reportedly among the long list of clubs including Manchester United, who are monitoring the performances of Inter Milan defender Milan Skriniar. The Slovenia international is widely regarded as one of the most efficient centre-backs in the Serie A, and he has been linked with the likes of United and Barcelona over the past six months. According to TEAMtalk, the Reds are understood to be keeping a close watch on the proceedings of the former Sampdoria man, who could be tempted by a bigger challenge in the summer. Skriniar has previously acknowledged that Champions League football won't be essential to him staying put with the Nerazzurri, but the prospect of challenging for regular silverware could lure him elsewhere. Liverpool currently have the likes of Virgil van Dijk, Joel Matip, Dejan Lovren and Joe Gomez to perform the central defensive duties but Klopp is still keen on another recruit amid injury concerns for the latter two.